tear trough and eye bags of your lower eyelids. Eyelift surgery to the two upper and two lower eyelids is a very effective form of facial rejuvenation. Dr Drielsma finds his patients usually report they are being told they look tired and grumpy from ageing eyelid changes. The lower eyelids with time usually develop bulging or fat bagging and skin excess. The first signs of facial ageing usually involve the eyelids. Blepharoplasty is an operation designed to correct the effects of ageing to the eyes and eyelids. As we get older, the effects of sun damage as well as the natural ageing process leads to the skin of the face losing its elasticity and tightness and gravity effects can cause some degree of sagging, particularly around the eyes and cheeks. Skin wrinkling is a result of these factors. Operative procedures, such as eyelift surgery or blepharoplasty are designed to correct these effects. Lower lid eyelift surgery specifically targets these issues leading to a tighter, smoother and youthful lower eyelid appearance. The upper eyelids often develop skin excess and looseness with drooping of redundant eyelid skin down onto the eyelashes. This problem is the result of a combination of upper eyelid excess in combination with descent of the eyebrows/ forehead tissues. Often my recommendation for correction of upper eyelid ageing will be a combination of upper eyelift surgery (blepharoplasty) with endoscopic brow and forehead lifting. Blepharoplasty has a very high patient satisfaction rate. The asian upper eyelid usually lacks the “double eyelid” fold or crease. Rounding or occidentalisation of the asian eyelid involves surgically creating a crease or fold of the upper eyelid. This is a day procedure and while can be done either under local or general anaesthetic. Through incisions or cuts in the upper and lower eyelids, excess skin of the eyelids is removed as well as adjustment made to the underlying tissue of the upper and lower eyelids. Some excess fat tissue may be removed from the eyelids and the fat of the lower eyelids may be re-draped down onto the cheek. This will smooth the eyelid contours, correcting bulging of the lower lid which often causes a noticeable groove between eyelid and cheek. Operating Time: 1 to 2 hrs. Hospital Stay: Day Surgery. Recovery Time: Approx. 2 weeks. The operation takes 1 to 2 hours, depending on the extent of each case. For eyelid surgery alone, the operation is performed under general anaesthetic on a day surgery basis. If brow-lifting is also done, overnight hospital stay is usually recommended. Considerable bruising and swelling over the first few days may be encountered. This can be expected to settle rapidly over the first week and will usually have completely resolved by the end of the second week. Generally speaking you will be confident and happy to engage in social contact by about the second week following surgery although this varies with each patient. As with any surgical procedure, there is a small risk of complications. Surgery and anaesthesia are very safe and it is most unlikely you will experience any difficulty. However, there is a small chance that a minor complication such as bleeding or infection may occur. Scars: Incisions used for blepharoplasty are also cleverly placed where they blend into the natural lines of the upper and lower lids. For the first few weeks the scars may be pink and slightly thickened. Scarring following surgery may take up to two years to fully mature and can be expected to be minimal and unnoticeable. 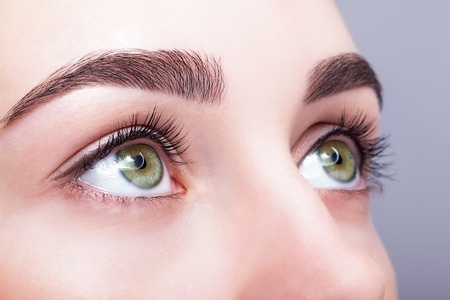 Swelling: Swelling of the eyelids can affect contour for some weeks and during this period of settling, improvement in eyelid contour can be expected. It is likely that close scrutiny of your eyelids following the procedure may reveal some small irregularity in contour or symmetry. Vision: Some blurring of vision is not uncommon in the early post-operative phase due to swelling. Anaesthetic: You will be receiving a general anaesthetic and your anaesthetist will be discussing with you possible discomforts following anaesthesia. Anaesthesia today is very safe and the chance of any problem is very low. Any questions you have regarding your anaesthetic would be best answered by your anaesthetist at the time of surgery.